Plant safety doesn’t have to conflict with a machine’s functional requirements. 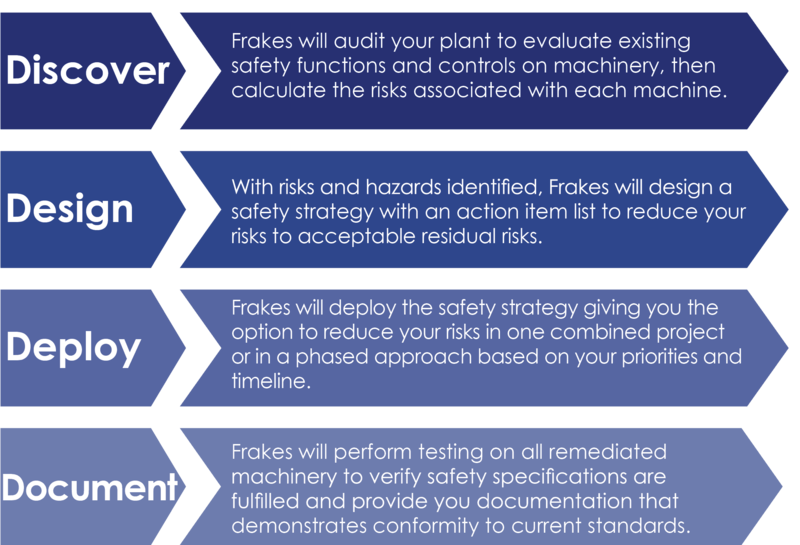 Frakes Engineering believes in functional machine safety, which allows plants to be safe without disrupting a machine’s performance. 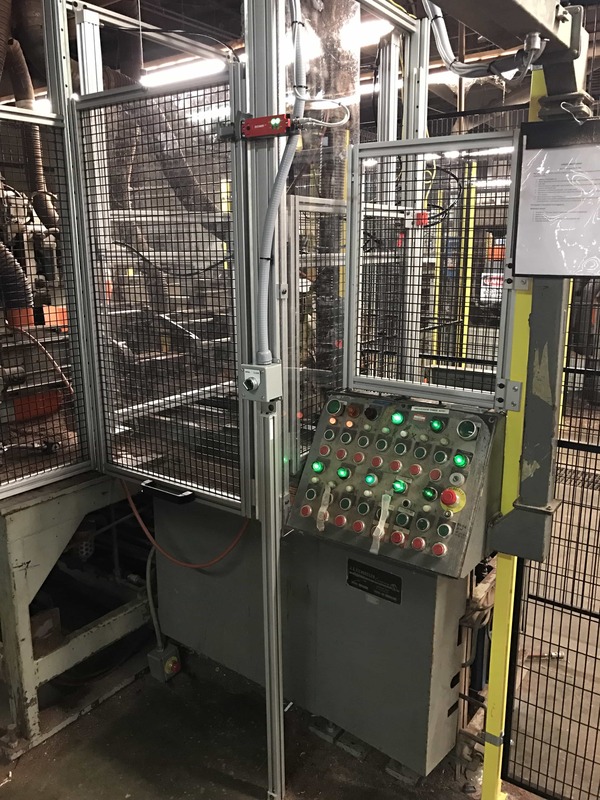 Our passion to minimize risk while maintaining a machine’s functional requirements help our clients reduce cycle times while increasing overall equipment up-time. Many companies fail to make safety apart of their culture–allowing unsafe processes and procedures to go unaddressed until it’s too late. At the same time, plant engineers often worry about risk assessments done on their machinery because they fear a safety engineer will require them to change their processes–possibly leading to slower production. 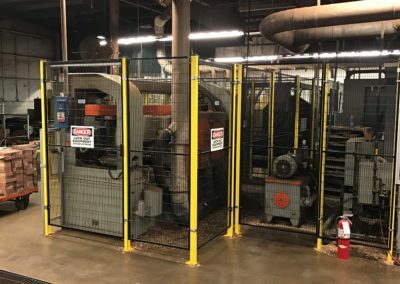 Frakes Engineering offers a unique approach to machine safety. We don’t just do risk assessments; we offer risk reductions. The first step to a safer plant is getting a risk assessment that looks at every possible risk associated with a machine. 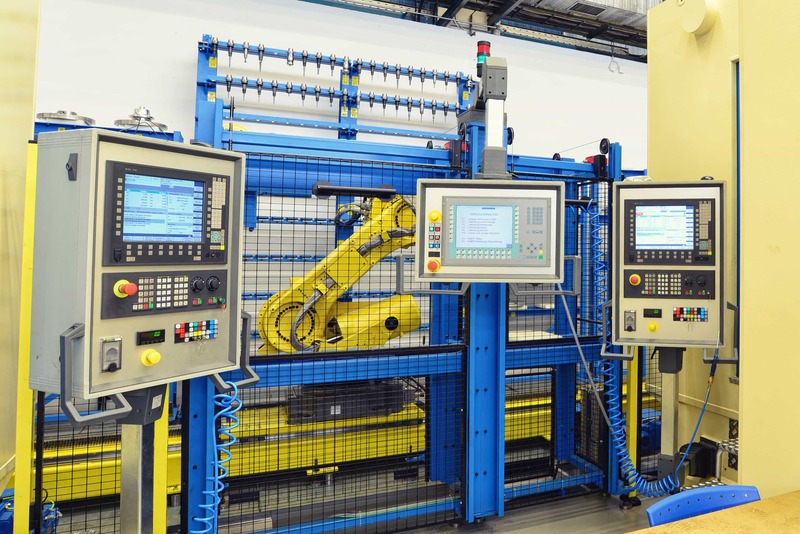 Per ISO 12100 standards, we will evaluate the existing safety functions and controls on your machinery to determine possible risks that could cause a near-miss incident or injury. A functional safety engineer will then classify your safety systems against pre-defined requirements. After we perform risk assessments on your machinery, we will work with you to come up with a custom safety solution aligned to your specific needs and wants.